Coolaroo aluminum market umbrellas can be found in a number of styles from traditional to contemporary as well as a number of sixes from eight feet out to eleven feet both round and square shaped. 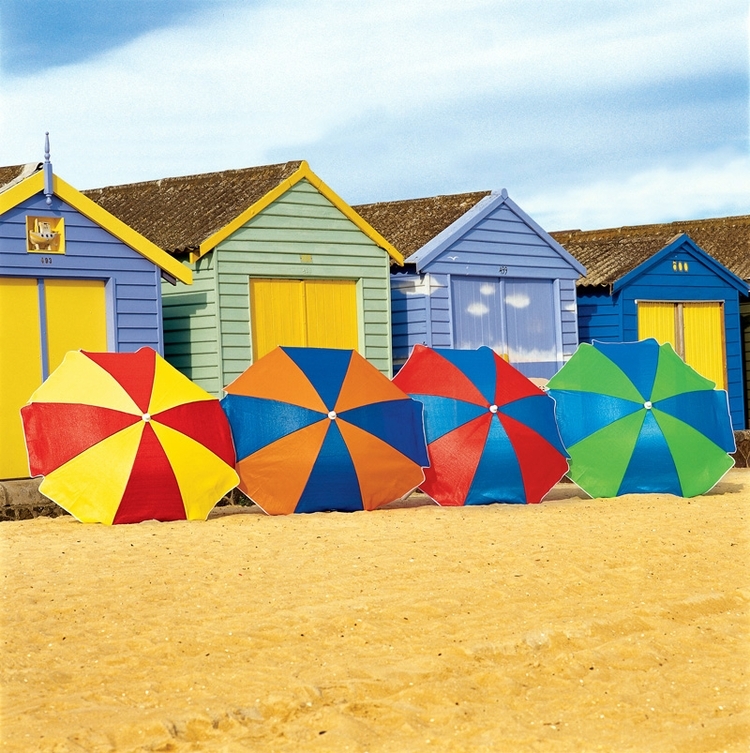 The Coolaroo patio umbrellas incorporate the Coolaroo patented fabric which allows hot air to escape through the top of the fabric while simultaneously pulling down cool air. The end result is that you will find the temperature under the fabric to be approximately thirty percent cooler than the air above the canvas. Most of these patio umbrellas are light enough to be portable so they can be easily moved around if so desired. Not only do these patio umbrellas help cool down the outside air but at the same time are a great accent to any porch, patio or deck.